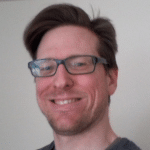 WOW – This got EVERYONE’S attention! Does anyone out there think Melania Trump could look BAD in an outfit? …I’m guessing not many people raised their hand. 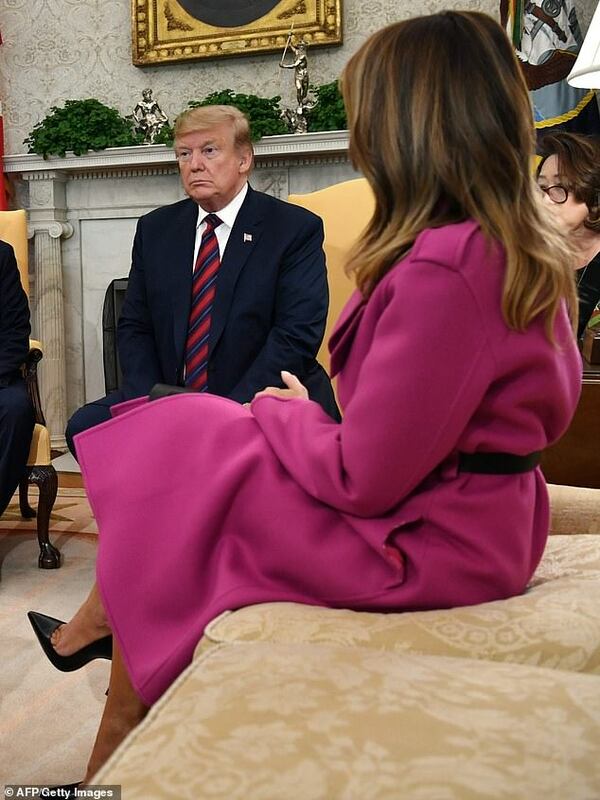 No, our First Lady is a perfect example of beauty and grace, so it stands to reason that everything she wears looks magnificent. But for special occasions, Melania definitely ups her game even further. This time, she and her husband were meeting with South Korean President Moon Jae-in and his wife, Kim Jung-soo. 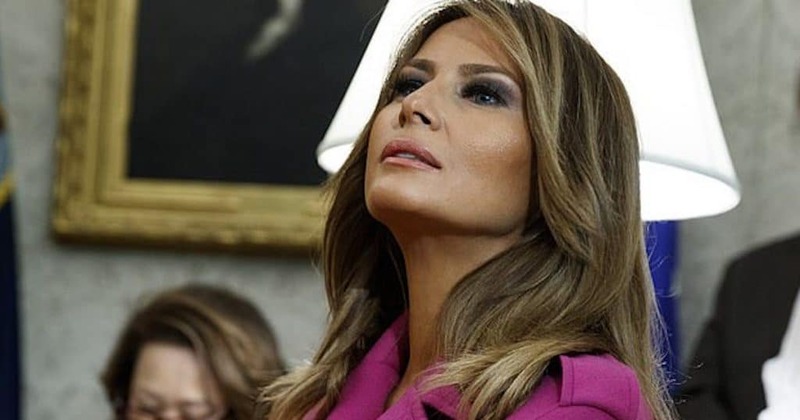 And WOW, did Melania stun the onlookers at the White House! 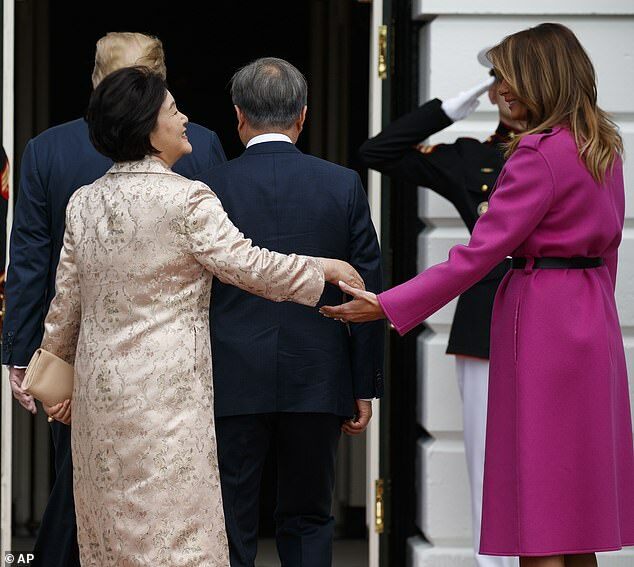 She appeared in a gorgeous $4,750 Louis Vitton wrap coat to welcome the South Korean first family, and it just popped. A set of fantastic Christian Louboutin black pumps! 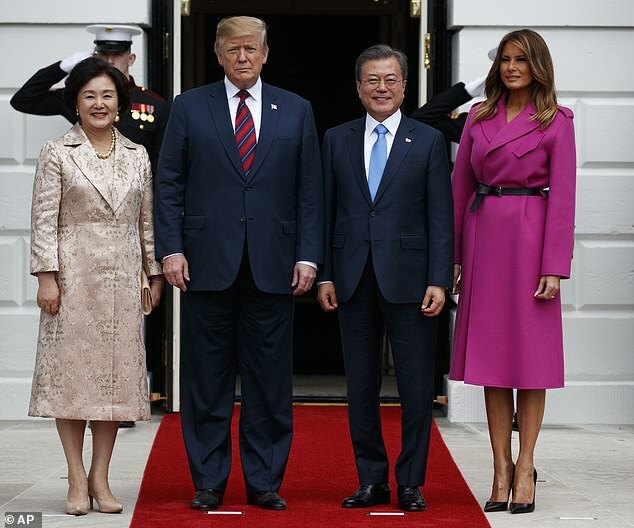 Mrs. Trump didn’t appear to wear any jewelry aside from a few rings, for instance, and there isn’t anything particularly lavish or overstated about her outfit. That’s vintage Melania, though, isn’t it? She makes even the simplest outfit shine, simply because of who she is. President Trump was meeting with the South Korean President to discuss the tricky nuclear issue with North Korea. And though that remains a scary situation, Melania still managed to be the focal point of attention. SHARE if you agree that Melania Trump is the classiest, most beautiful FLOTUS in American history!